Sentinels – insurers, brokers and other intermediaries – often take the position that things could have been alot worse had they not provided oversight of procurement and payment. Yet, it feels like the cop who is asking to be congratulated because only half the suspects got away. It’s actually hard to find a healthcare stakeholder who does not feel disabused for the role they play in this broken system. Everyone has a chip on their shoulder. Doctors routinely wave out-of-network, out-of-pocket and steer patients to outpatient clinics and/or in office therapies to maximize reimbursement. Not-for-profit hospitals and outpatient clinics purchase drugs under special non-profit 340B provisions, affording them steep discounts from drug manufacturers and then significantly inflate pricing to patients while pocketing the difference. Perhaps the worst offenders are certain larger Pharmaceutical Benefit Managers ( PBMs ) who engage in opaque pricing, formulary manipulation and contractual games of semantics to maximize their share of profit from drugs they neither produce nor consume. The roster of enablers magnifies the problem with consultants, brokers and agents who charge for services that they often cannot deliver in managing RX benefits. Caveat emptor to the generalist HR buyer who, in good faith, hires a generalist broker to manage a highly complicated pharmacy contract with an educated PBM. While insurers and other third party players in the healthcare system argue their role as sentinel is invaluable to prevent abuses in overtreatment, waste, fraud and abuse; one might argue the fee-based advisor should be the purest form of intermediary in our business. We exist in a world of carnivores and while it does not serve any purpose to malign any for profit firm’s focus to maximize profit; we should develop a thicker skin when those same stakeholders get angry at our efforts to affect their profiteering. We cannot condone practices that unnecessarily inflate healthcare cost. Rising costs reduce corporate earnings, affect jobs, bonuses and GDP. It is a sin of omission that many intermediaries don’t understand and we have to accept that many ineffective advisors are part of the problem. The role of benefits and risk advisor is that of a physician. The Hippocratic Oath of “first do no harm” should apply to everything that we do. To successfully eliminate egregious pricing, non transparent business practices, waste, fraud and declining public health by structuring a thoughtful plan of health and benefits for any employer is to serve a nobler purpose. We need to have a major voice about national reform and not only take an interest when our own industry is at risk. We should take an interest and have a position on Medicare and Medicaid which impact almost 150M Americans – including friends, family and parents. We live in a symbiotic ecosystem. If a bomb goes off in Economy, people in Business Class go down with the plane. Sadly, the barriers to entry to the advisory business are ridiculously low. Unlike other industries where size and expertise is paramount to success and barriers to compete are limited for new entrants, any individual can pass a simple life and health exam and be licensed to advise clients on healthcare procurement. Size is not a determinant of capability. I’ve seen highly qualified competitors successfully hang their own shingle to start their own business. Some of my heroes and mentors in our business are idealogues and change agents who get offended by the status quo. They make enemies by simply doing their jobs. Across a 35-year career, I’ve witnessed countless acts of self-interest and unselfish service. It comes down to incentives, the culture of the firm and its people. When I meet a prospectibe employer paying $750,000 for healthcare advisory services to a life agent when $200,000 is adequate to cover my services, I resist the temptation to shadow price the compensation arrangement that is tantamount to highway robbery. When I give a speech on the need for reform, I risk offending people who honestly believe they are not part of the problem. We are the last line of defense in the fourth quarter of healthcare in America. It’s even odds that within a decade we will have a single-payer system as a result of runaway health care inflation and the lack of private sector appetite to drive market-based reforms. If the pie shrinks, everyone’s share gets smaller. In a time where firms are looking to give 10%-15% ROE to investors, low single-digit organic growth means consolidation and job losses to increase economies and reductions in expenses (which are largely comprised of human capital). In the end, being liked could cost you your job. Being tougher with all stakeholders could end up saving your own skin. The most valuable person in this frenetic landscape of self-preservation is the objective agent, broker or consultant. To be guided by a higher purpose and to understand every dollar saved and excessive dollar of margin eliminated is a job saved, a bonus rewarded or an investment in capital equipment and improved earnings for clients. It’s our job to help prevent crises and “kick the can down the road” politicians from reneging on retiree medical and pension commitments made to public employees in lieu of wage increases. It is advocating for the least among us. It is preventing excessive profiteering and insisting on affordable healthcare for all Americans. It’s standing up to your own political party, your own boss or a senior industry executive and not blinking. Humility isn’t thinking less of yourself, its thinking of yourself less of the time. In our zealousness to promote and protect employer-sponsored insurance, we need to do a better job as cops and regulators of free market solutions. We need to push clients to do the right thing. We need to be less cozy with vendors and fulfill our fiduciary obligations. We need to be more comfortable with transparent fees and tying our performance to outcomes instead of activity. We are cops and evangelists. We are an imperative and essential last line of defense but if we are sleeping with the enemy, we can’t be objective enough to have the hard conversations required to change the system. My mentor once told me that if you do not see yourself as a change agent, you aren’t one. No one said it would be easy nor fun to be the heavy or the bad cop in the conversation, however the best and brightest in our industry see themselves as zealots for change. They may not be always liked but they are respected. They don’t rant like maniacs demanding reductions not justified by a client’s experience, but they are thoughtful advocates who are always sitting on the client’s side of the table and content in the knowledge that every dollar they save, helps the market reform itself, improves public health and reinforces the integrity of an employer-based system. It can succeed if we develop a more symbiotic system based on natural tension, trust and social responsibility. Michael Turpin is a 35 year veteran of healthcare and employer sponsored insurance. He has served as CEO of Oxford and United Healthcare Northeast as well as a national practice leader for Mercer, USI, Marsh and Johnson & Higgins. He is a published author of three books and a frequent speaker and contributor to public and private forums. Please cite the studies. Rand study was nationwide with n=800,000. I ran a company and saw employees invest their H.S.A. Investments and see Their $ grow…and ask their doctors “is the MRI on my sore knee really necessary?” ( example was me). I really would like to see the studies you refer to. I heard that Highmark Blue Cross no longer has the UPMC Health System in its network. Do you have any data or insight into the extent to which Highmark’s Pittsburgh metro area business was impacted and how Pittsburgh based larger employers reacted? I thought the UPMC Health System was generally regarded as a “must have” provider. Presumably, West Penn Allegheny is significantly less expensive. Quality and outcomes differences would be the key issues but defining either or both is no easy task in healthcare, especially on a risk-adjusted basis. Looks like TPAs are beginning to squirm. Even now I’m not optimistic. As long as group insurance plans continue to be tax advantaged the incentive to save remains compromised — for both client and TPA. It’s time for all of us to start looking in the mirror in terms of complacency and greed. I think ex-CMS Head Don Berwick said it best,” Real health reform means empty hospital beds”. Until incentives exist to reward keeping people well, behavior will follow the reimbursement model which drives treatment instead of cures. This is an excellent insight… “Employers are often more focused on avoiding disruption than acting as responsible fiduciaries to drive market reforms. By abdicating to their insurers or a less than qualified advisor, employers have failed to drive fundamental market reforms that would otherwise slow or reverse the inevitable march toward a single payer system as a means to escape the unsustainable consumption and financing of healthcare.” ….and when they try (like Leapfrog) they get co-opted by the big system bureaucrat tweakers whose reforms make things worse and more expensive. 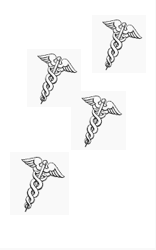 I often ask CFOs – what if you tied a percentage of your and HRs bonus to hitting a medical trend of 3% or less? Would it change the amount of time you dedicate to managing engagement and your cultural tolerance for change. Would you see healthcare as a social contract instead of a cost of doing business that can’t be controlled? That is why consumers should consider carrying private insurance to meet their needs and consult with an expert when doing so if needed. Whai if the old indemnity style of payment returned–insurers paid claim money directly to patients and patients paid providers? Would not this enhance price information for everyone? Would not this enhance provider efforts to deliver high quality health care? Would not the possibility of the patient defaulting in his obligation to pay his provider improve bedside manner [read: “humanity of care”]. Can you say “bad debt”?